colour proof for poster: Over 100,000 British Prisoners in these camps. Help them for all you're worth! 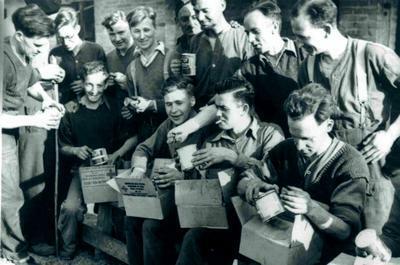 Send every penny you can spare to Red Cross & St John, St James's Palace, London, SW1. 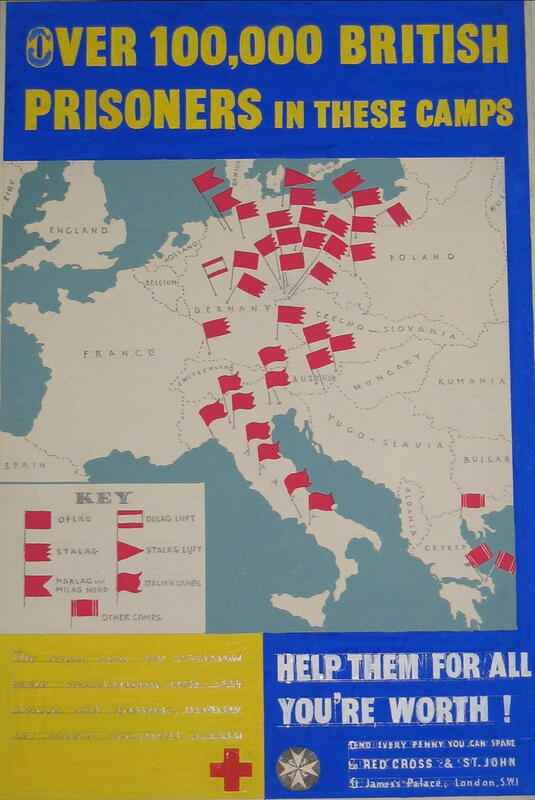 Illustrated with a map of Europe, small flags show the location of prisoner of war camps.